White lace puffed sleeves blouse. This Danielle Dirndl has embroidery on bodice and skirt with large flowers. 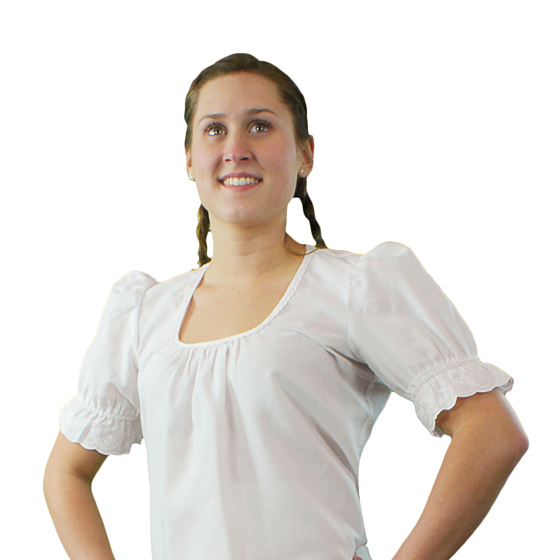 Short white lace top with puffed sleeves.